This add-on helps you to easily manage multiple tickets that are related to the same issue. Product recalls, persistent software bugs and major project implementation milestones are just some of the types of issues that this add-on can help you handle with ease. 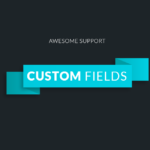 Larger support operations can easily receive multiple support tickets related to the same problem, especially if its a new issue. Managing multiple tickets that are all about the same problem can easily become a problem itself. Imagine having to update 10, 100 or even 500 tickets just to give them all the same status update? Under this kind of a scenario wouldn’t it be great if you could create a group of tickets and manage the group as a single entity? 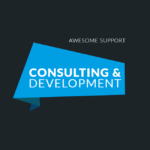 Well, that’s precisely what this add-on for Awesome Support does! You release a new version of your software and you start to get reports of an issue with a particular version of Windows. Soon, multiple tickets start to arrive with similar issues. With this add-on you can assign each ticket the same ISSUE NUMBER. 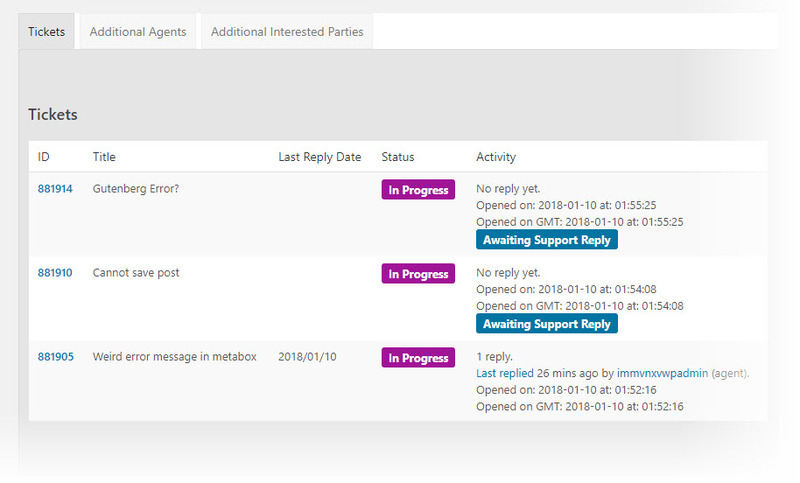 You can then add comments to the issue which will automatically update the clients on all associated tickets including sending emails to agents and users. Lets say you run a business that sells food and you’re faced with a contamination issue where you have to recall certain products. 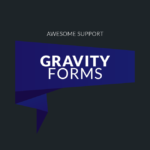 Each support ticket that comes in will be assigned an issue number and any comments made on the issue will automatically flow through to all the associated tickets. When an issue is closed all associated tickets are automatically closed. Manage issues internally with private and semi-private comments available only to the agents on the issue or the agents on tickets. Unlike most other ticket systems, our Issue Tracking is a first class citizen of our ecosystem. This means you get all the high-end features you would expect from a tracking system. 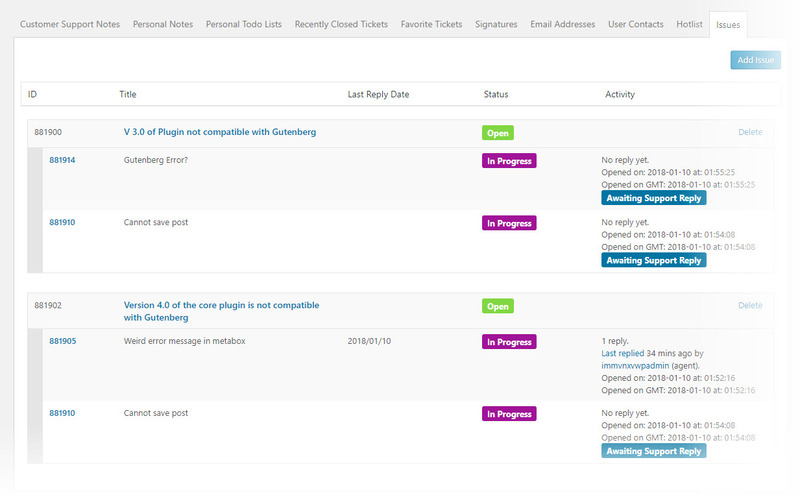 You can easily view all tickets related to an issue along with the status of the ticket, whether it has been replied to and the last reply date for the ticket. In some cases you might have a ticket that is associated with more than one issue. For example, you might have a software bug that has been separated out into two independent issues. A customer that complains about that bug might end up having their ticket assigned to those two issues in order to be fully resolved! You get THREE different types of comments – depending on who you want to be alerted. Private comments will only alert agents directly on the issue. Semi-private comments will alert agents on the issue AND on each individual ticket. Regular comments will send alerts out to all agents and clients/customers attached to the issue or underlying tickets. If your help-desk handles any kind of real volume of tickets, chances are you need issue tracking to tame things when handling a crisis. Get it today as a stand-alone add-on or with our AGENCY BUNDLE!